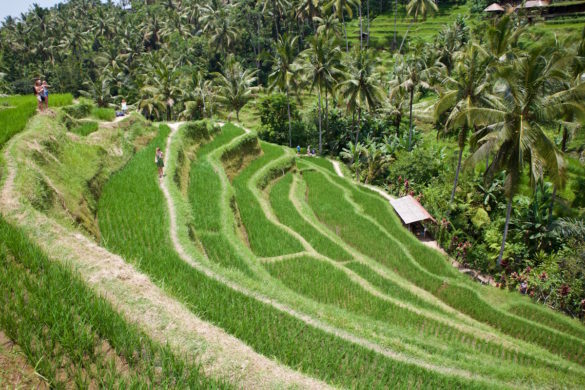 Ubud is one of the most popular destinations to visit in Bali, Indonesia. From incredible waterfalls and rice terraces, to volcano hikes, yoga classes and massages, find out the top things to do, places to visit, eat, drink, and of course, a few of my special tips for travelling around the region in my Ubud blog! Ubud is one of those super cool towns I’d read about before I visited Bali in Indonesia. Friends raved about the natural beauty, the spas, food, waterfalls, day trips, yoga and more. I felt like everyone had a favourite spot in the area, and feeling cynical I wondered whether it was going to be horribly overhyped and touristy! You know what? It really wasn’t. I mean, there were plenty of people visiting but it didn’t have that horrible touristy vibe where you feel like all real culture has been lost. It lived up to the hype, and perhaps even surpassed beyond my expectations. It’s also incredibly budget-friendly. 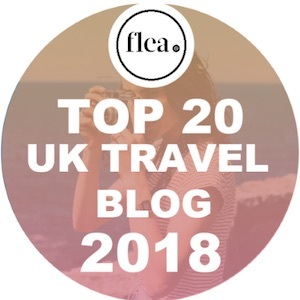 So after spending so many enjoyable days there, I wanted to write this Ubud travel blog with a few of my top places to visit and things to do. Some are obvious (hello rice terraces and waterfalls!) and some are places that I discovered with my friends and couldn’t wait to share! 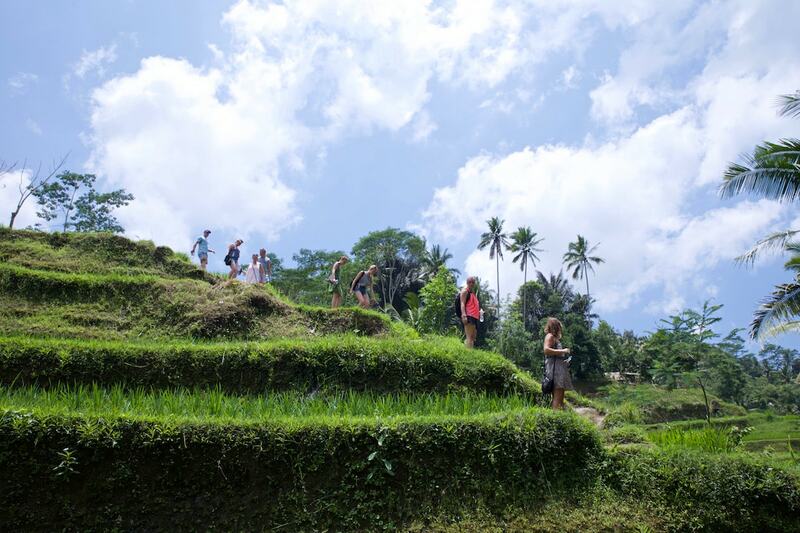 Ubud’s most iconic photos are of the beautiful lush rice paddies to the north of the town. They’re as stunning as the photos, and the green is so bright, you feel like you’ve cranked up the saturation! You can enter free of charge, but to continue to different sections, you’ll pay small fees (a few IDR). You can also pay to have photos at the famous Love Bali sign or to pose with one of the workers in the famous hats! Easily one of the most challenging things I did during my time in Indonesia, but also the most rewarding. 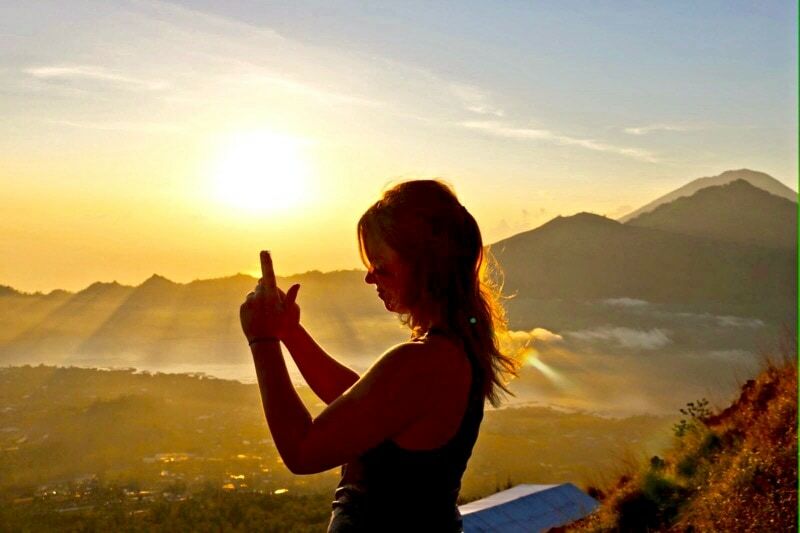 I’d recommend this hike to everyone – all fitness levels, all holiday styles. You can find out more about it in my post here, but I think the photos probably tell you everything you need to know! While it’s not IN Ubud, the tours run from the town daily. 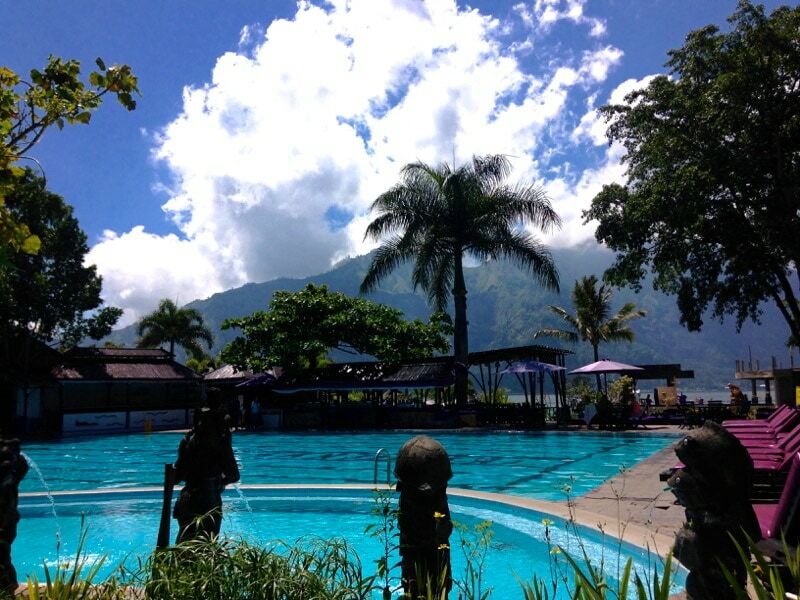 I visited these hot springs just after completing the Mount Batur sunrise trek. The series of swimming pools were located right on the lake, making it a truly spectacular place to reflect on an adventurous morning. While I visited as part of a tour, you could hop on a scooter to visit the area. 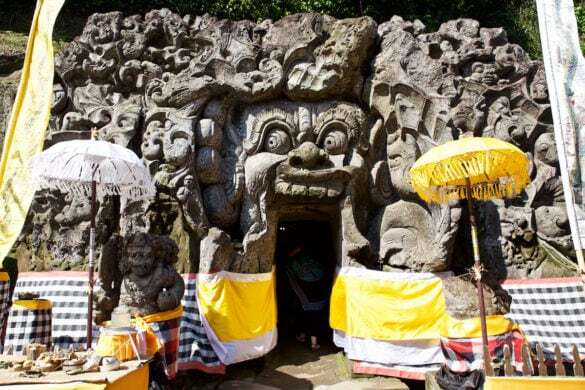 Goa Gajah (aka the Elephant Cave) is an ancient temple built in the 9th century. There are lots of carvings on the stone on the entrance to the cave. The actual cave itself is tiny! In front of the cave is a large bathing pool featuring five statues depicting Hindu angels holding vases that act as waterspouts. There are also beautiful gardens to explore. Entrance fee: 15,000 IDR. Top tip: There are plenty of people selling sarongs outside saying you need one to enter, but they actually include one in the price of your ticket, so don’t be fooled! 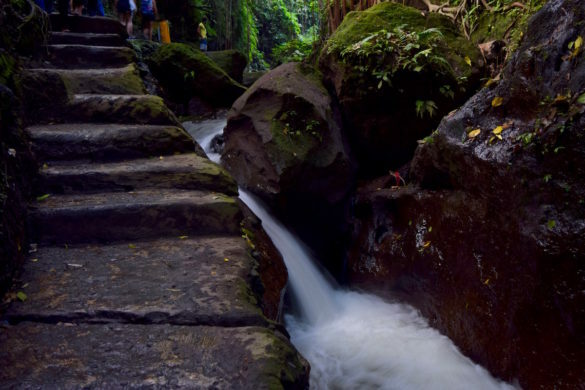 Kanto Lampo is easily one of the most beautiful waterfalls near Ubud. It’s only been officially open a few years and rather than a huge weight of water dropping down, this one has an almost step-like structure. You can swim here, but when there hasn’t been rain for a while, it dries up… as it had when we visited! Doh. Entrance fee: 5,000 IDR. 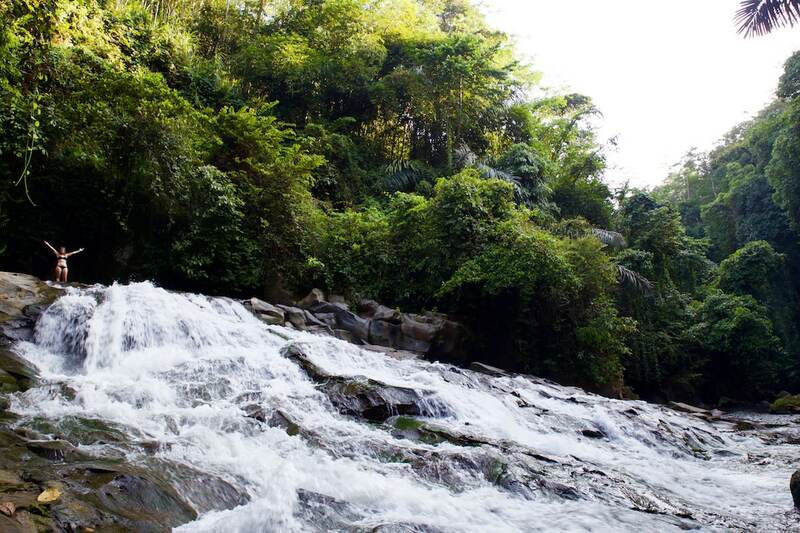 I remember the moment we arrived at this waterfall, and what a moment it was! 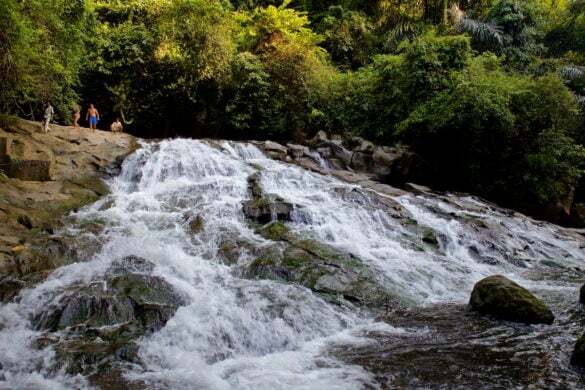 Beautiful cascading falls splashing down the rock edge, with a large pool to bathe in at the top. 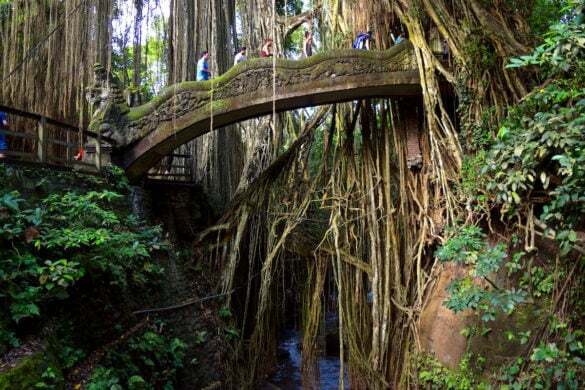 It’s a steep (and often slippery) climb up to the top, but there’s a rope to help steady you. 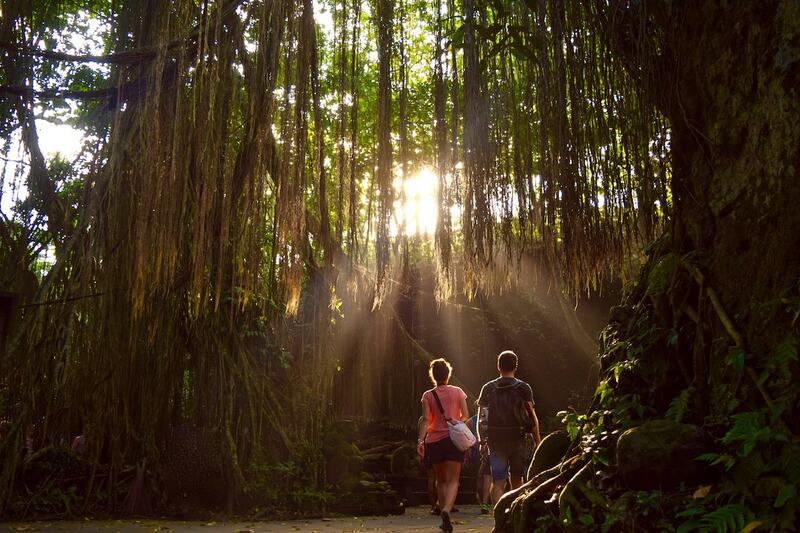 To reach the falls you walk through stunning jungle trail lovely trail, plus there’s a cave to explore too! When I visited there were about 8 other people there, and at one point we had it all to ourselves. The most famous waterfall near Ubud, Tegenungan is very impressive! It’s a great place to cool off on a sticky day, but at this one, be prepared for the crowds. Entrance fee: 10,000 IDR but you’ll pay around 10,000 extra to visit the other side. 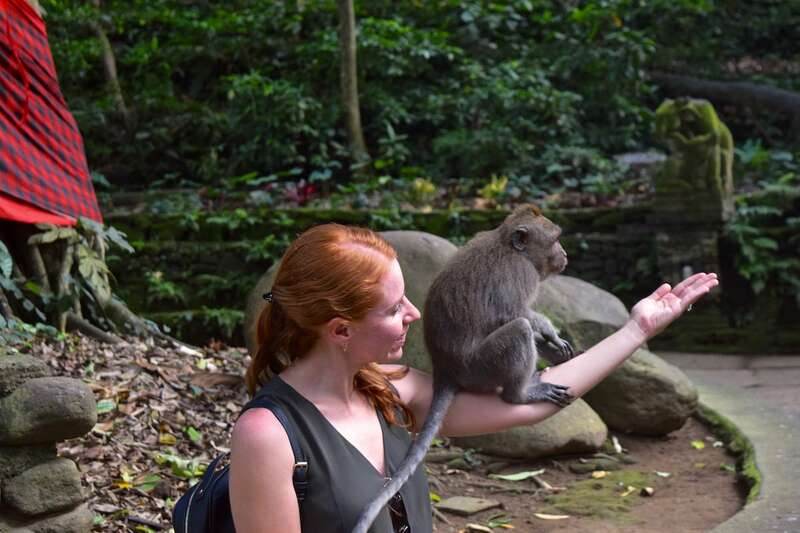 I was a little apprehensive about visiting Ubud’s famous Monkey Forest as I’d heard so many stories about monkeys grabbing phones, sunglasses and more. 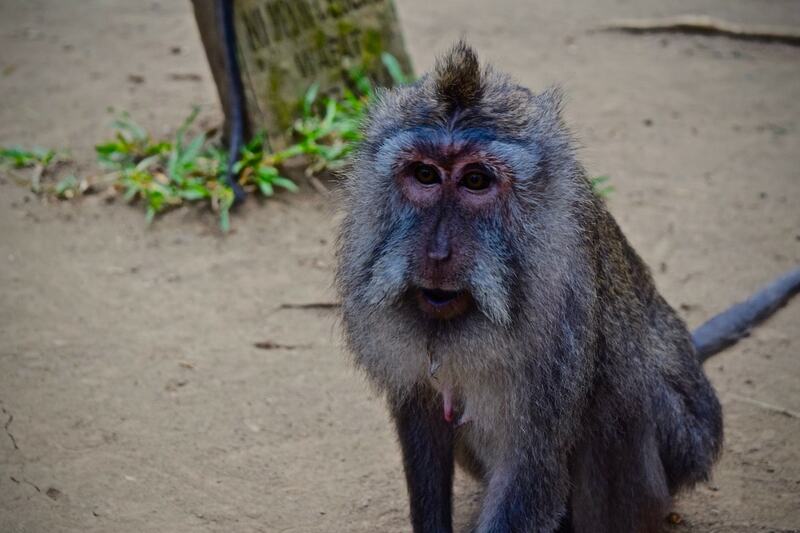 Then days before our visit, two monkeys had started going at it on someone’s head! 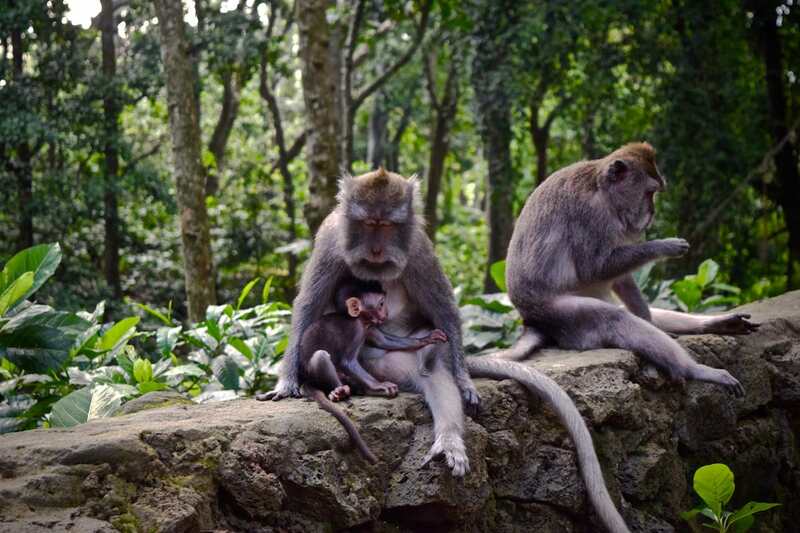 There are over 700 monkeys in the forest and plenty had adorable little babies. 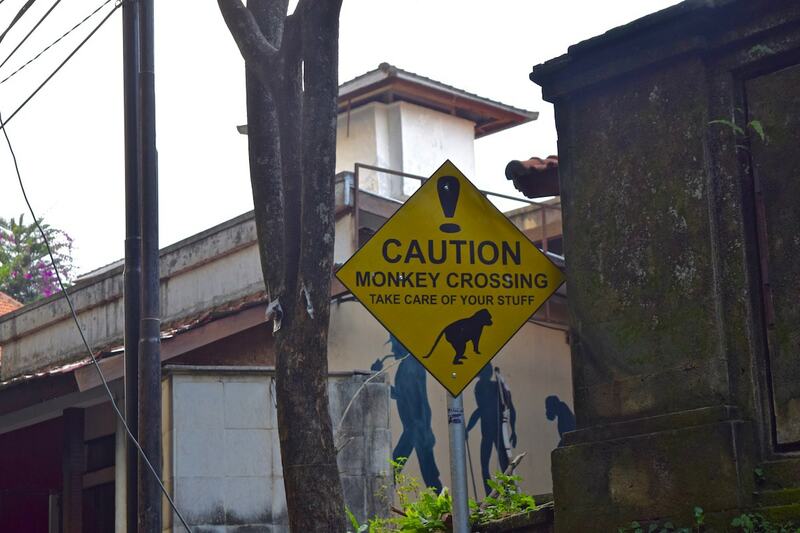 It’s also worth mentioning there are plenty of monkeys around the entrance and causing chaos along the main road. It’s not a zoo – they’re free to roam where they wish, but no doubt enjoy the forest for the food that’s fed to them by tourists each day. I’d assumed the monkeys were the main thing to see here, but there were three lovely temples, a river and of course the beautiful forest full of tall trees and banyans to explore too. Entrance fee: 50,000 IDR. 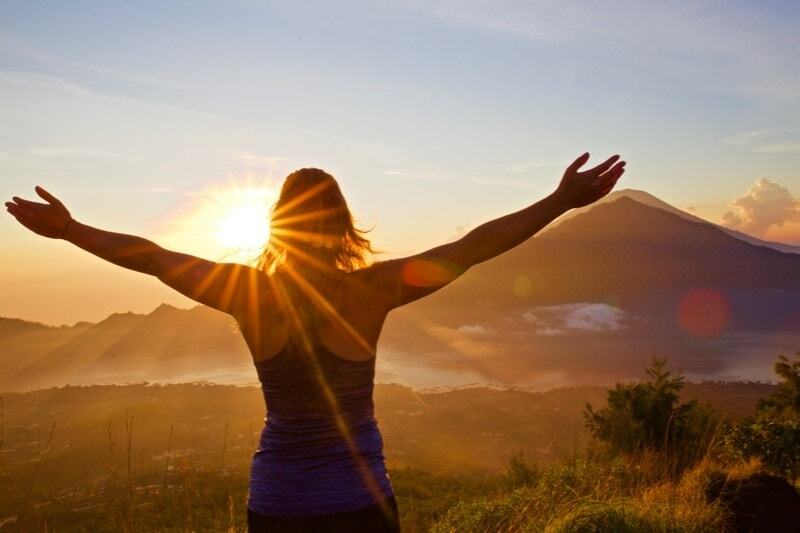 With Ubud being such a beautiful, peaceful region, full of nature, it’s no wonder many flock there for relaxation and mindfulness. While I don’t claim to be a yogi, The Yoga Barn came highly recommended by friends and travellers I met along the way. Daily classes run from 7am until 8pm and there are options for all abilities and styles. They also run retreats if you’re looking for a more focused approach. Prices start from 130,000 IDR (approx. £7.60) for a one-off visit, but you’ll pay less if you book more classes. Where next in Indonesia? 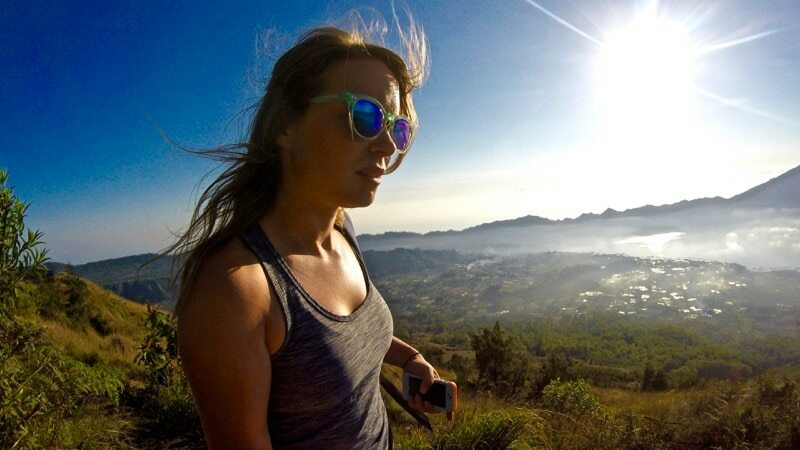 Find out about travel in the Gili Islands, Yogyakarta, Jakarta, Bandung and Raja Ampat. 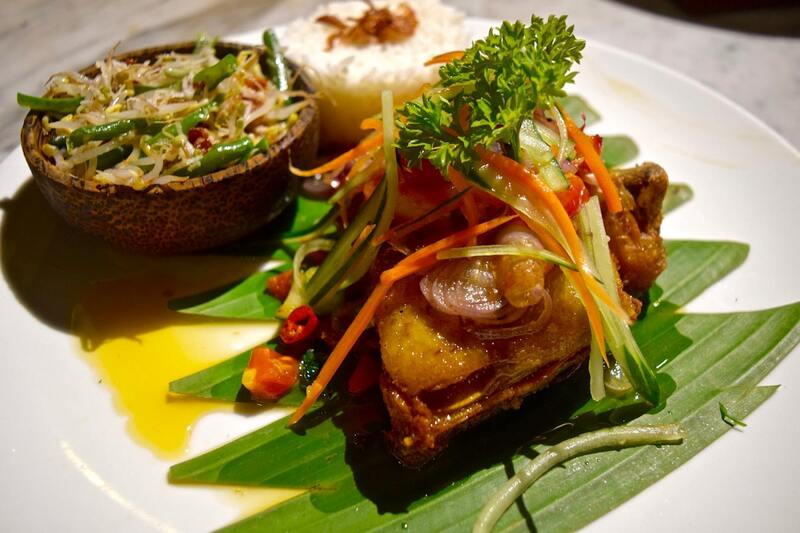 There are so many cafes, restaurants and bars in Ubud, and many of them are excellent. 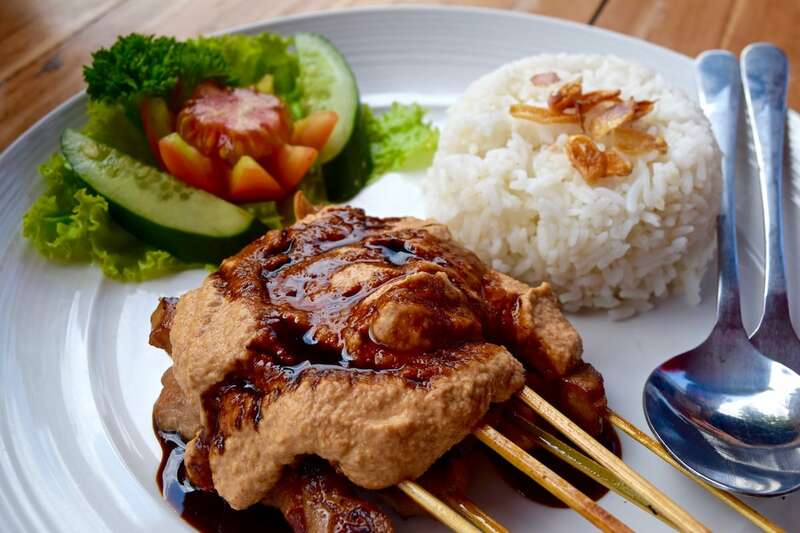 The area is famous for its vegan/healthy foods, but there’s plenty of great satay, nasi goreng (fried rice) and mie goreng (fried noodles) on offer too! 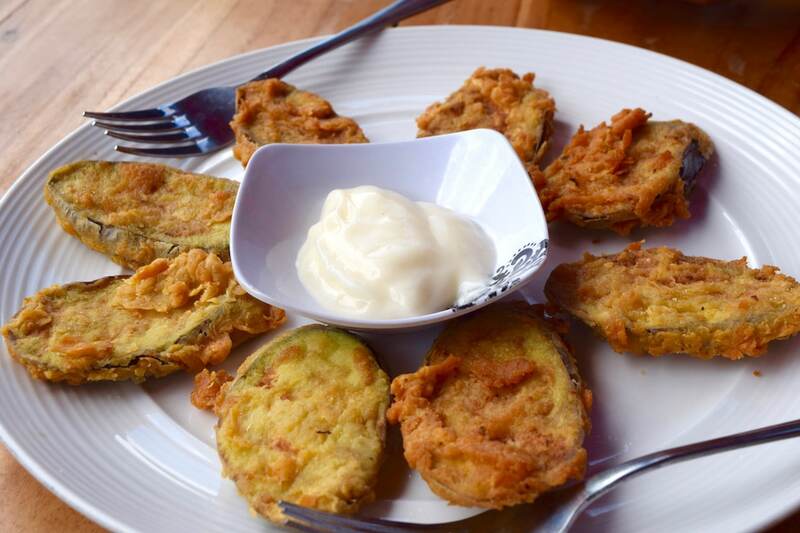 You’ll also find plenty of western-style restaurants if you’re craving a little taste of home. It’s also worth mentioning that Ubud is a popular town for digital nomads, so there are lots of cafes with excellent coffee and strong wifi, where they’re happy for you to sit for hours nursing one cup of coffee! 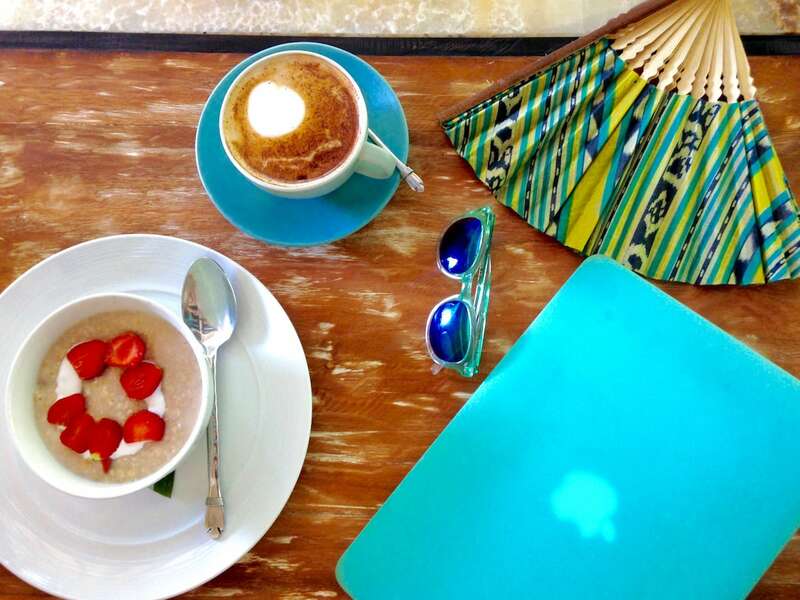 My travel buddy Emily put together a great round up of the best cafes to work from in Ubud, so check that out if you’re looking for somewhere to pitch up for the day! 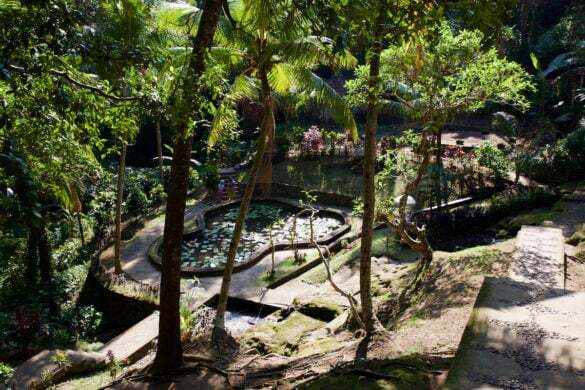 This was one of my favourite spots in Ubud. I started the day heading to their café across the river, only to discover they’d moved to a new location right in the town. This beautiful garden-like café was being finished (we watched as fish were brought to their new pool at the edge of the seating area!) 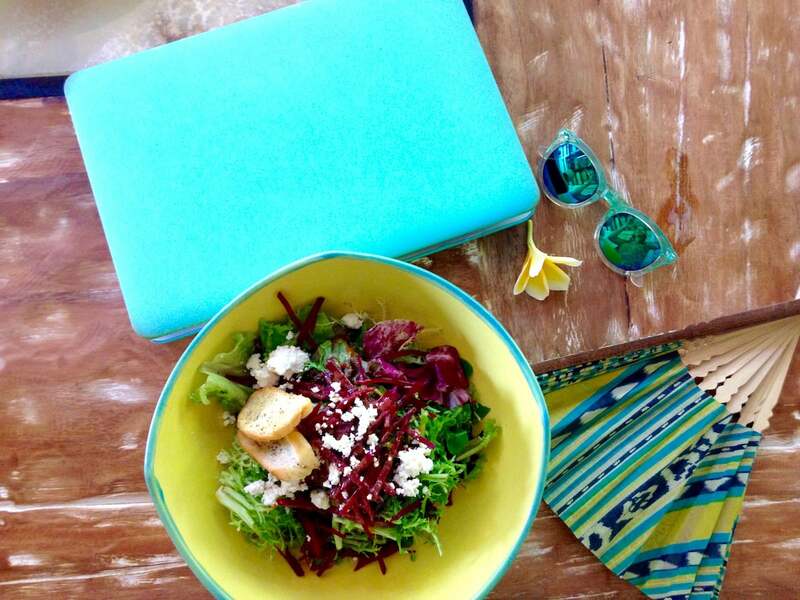 It’s Instagram-friendly (check out the décor), has a delicious healthy menu of juices, brunch dishes and great coffee. I loved the relaxed vibe, in particular the lounge area upstairs where people were tapping away on laptops while lazing on gigantic cushions. Oh and once you’ve finished upstairs, the more adventurous out there can slide down the fireman’s pole! Prices weren’t too bad wither – I enjoyed a huge salad plus an iced latte for 114,000 IDR (approx. 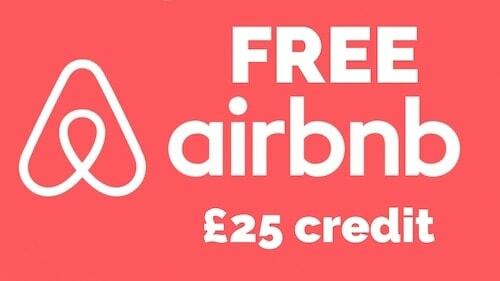 £6.70). The food here was absolutely delicious. We enjoyed Thai lime chicken, ayam jejurek (a flavoursome chicken dish) and ayam rica rica (a spicy chilli chicken dish). It’s a tourist restaurant but the food was good, atmosphere relaxed and prices were reasonable. I’d been told this was home to some of the best satay sauce in Ubud, and wow was it good! It’s a tiny restaurant, and very basic in style – more of a lunch place than a dinner place. I started with an amazing ginger, lime and mint drink – so good I ordered a second glass. 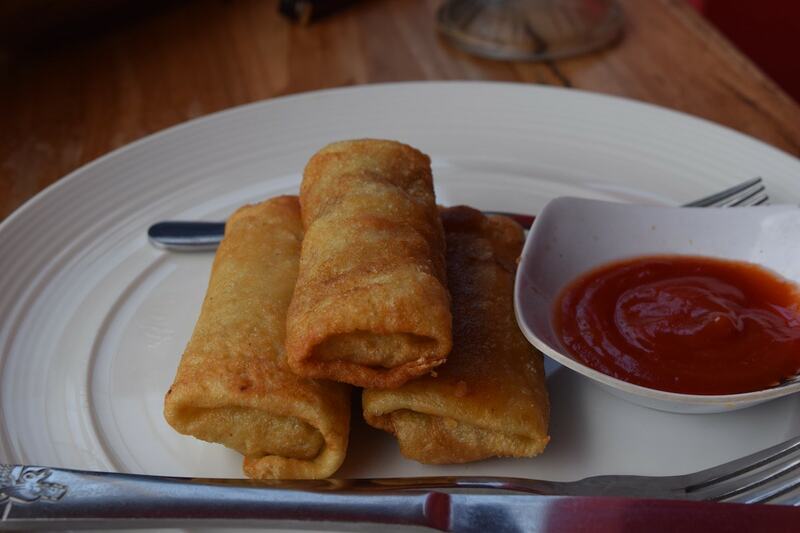 We had a generous portion of fried spring rolls (of course with Mama’s famous peanut sauce! ), deep fried aubergine and a large mie goreng (fried noodles). A meal for three with drinks came to 186,000 – just over £10! What a bargain! This little restaurant caught my eye several times with its big menu of burgers and tasty looking shoestring fries. 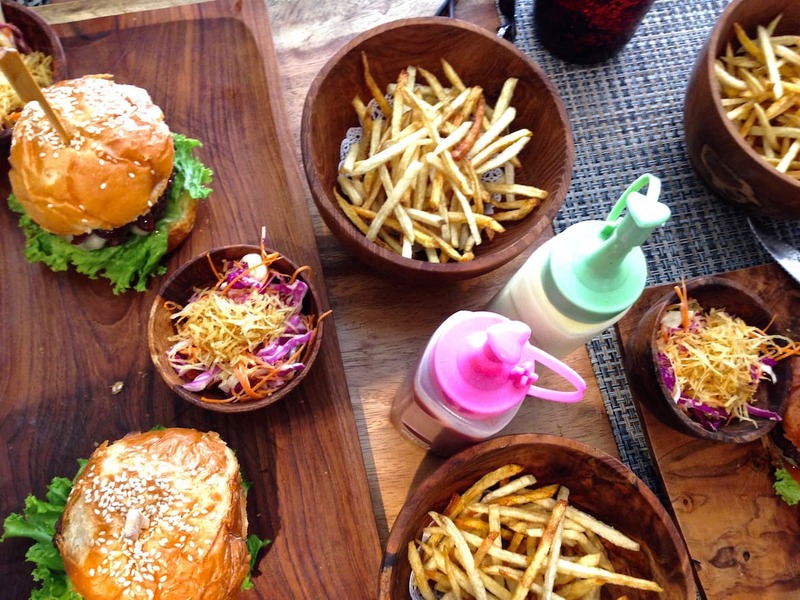 After completing the huge challenge of climbing Mount Batur, we decided to reward ourselves here – and the burgers certainly didn’t disappoint! While I heard this was a buzzy place in the evenings with live music and alcoholic drinks, it’s a relaxed spot in the day with good Wi-Fi and delicious milkshakes, plus they bring you free tortilla chips to ward off any hunger pangs! 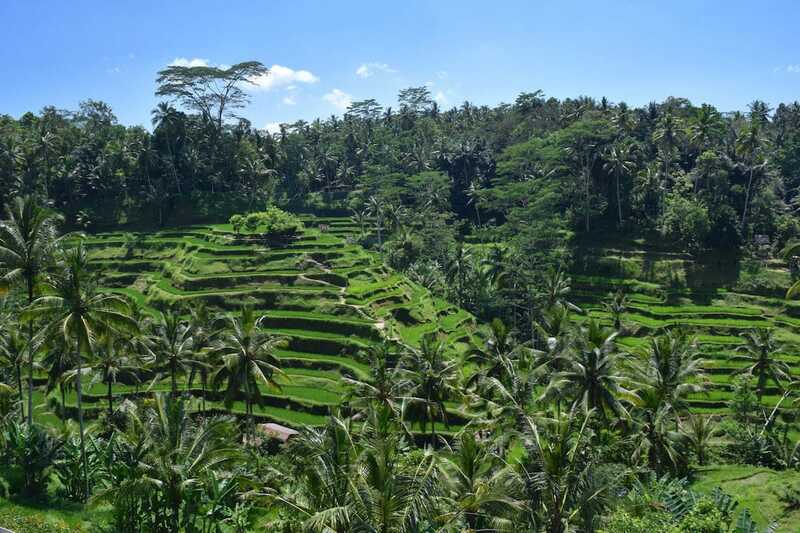 When it comes to Ubud accommodation, this is a town where you get a lot for your money. While there are a few larger hotels out of town (including luxury brands Viceroy and Four Seasons), the majority in the town centre are small guesthouses, villas and B&Bs. Many have pools, great facilities and include breakfast. To be honest, I was surprised that there were so many Ubud hotels with private pools – it really is an amazing place for value! This is a great town if you’re on a budget. 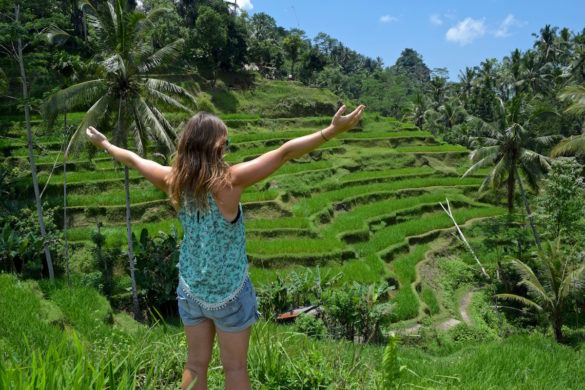 You can stay in an Ubud hostel for as little as £5 a night, so it’s no wonder a lot of backpackers enjoy this part of Bali. Time to reveal the best places to stay in Ubud on a budget. 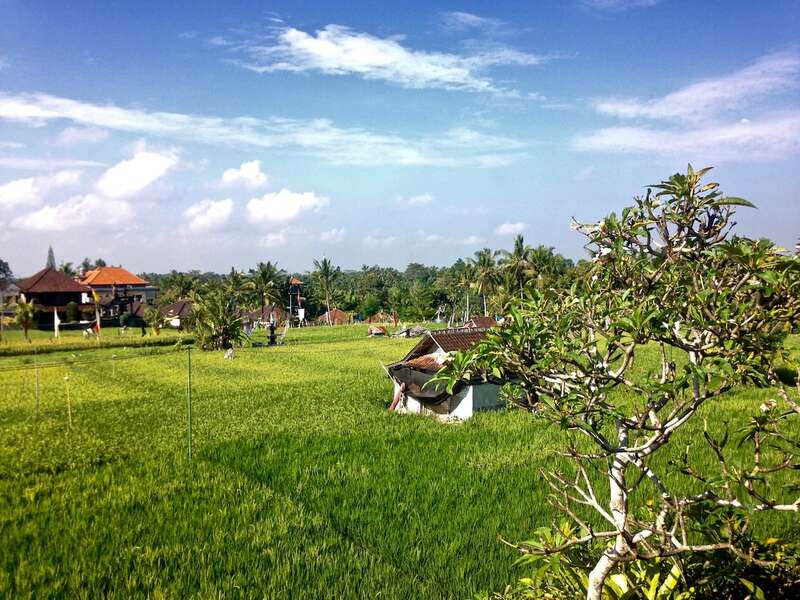 Permana Ubud Cottage – we spent our time at this small hotel overlooking the rice paddies. For 300,000 IDR a night for a double room (approx. £17), we enjoyed a complimentary breakfast on our terrace each day, and had access to a cute outdoor pool. 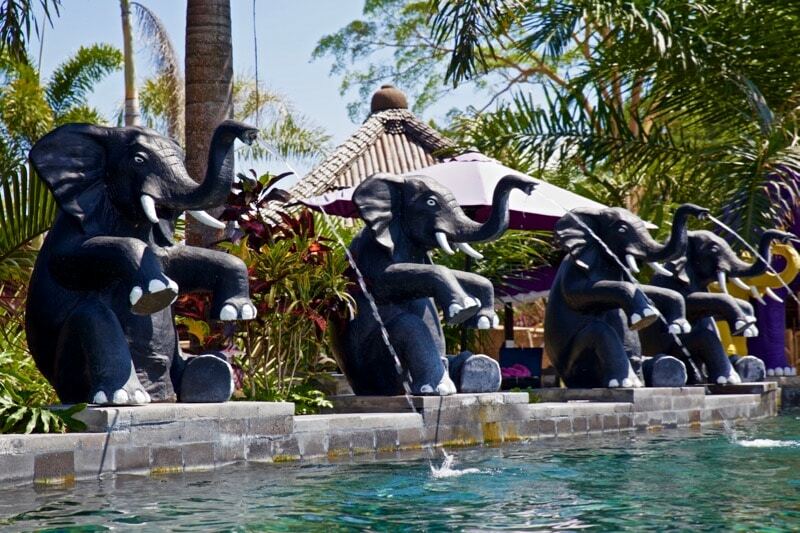 Siwaya Villa – Rent your own beautiful villa for as little as £40 a night. 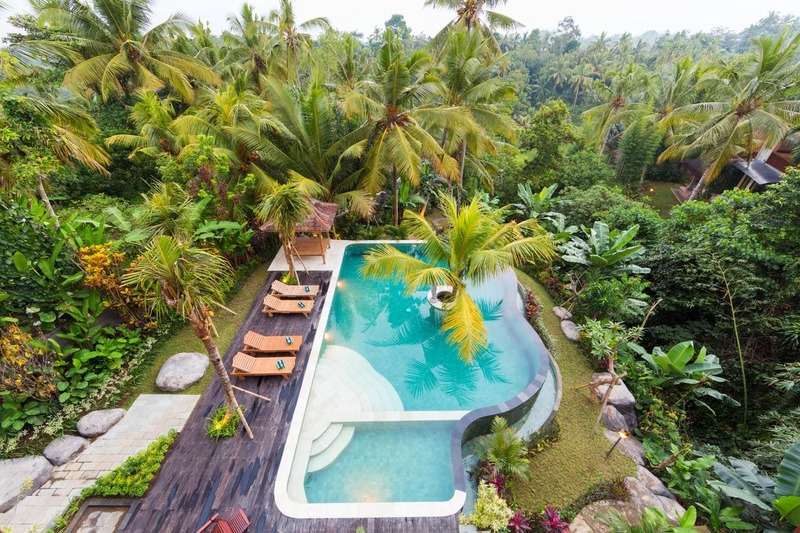 With a great pool and set in the rice paddies, it’s a little slice of Bali paradise! 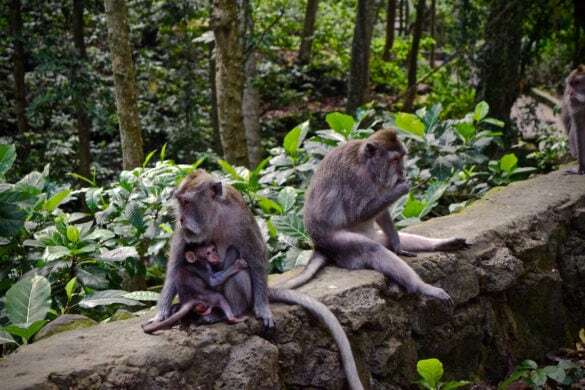 It’s a short walk into the centre of Ubud, so you can enjoy the peace and quiet or immerse yourself in the busy town depending on what you fancy. In Da Lodge – Without a doubt, this is one of the cheapest places to stay in Ubud (when I looked there were beds in dorms available for as little as £3 per night!). 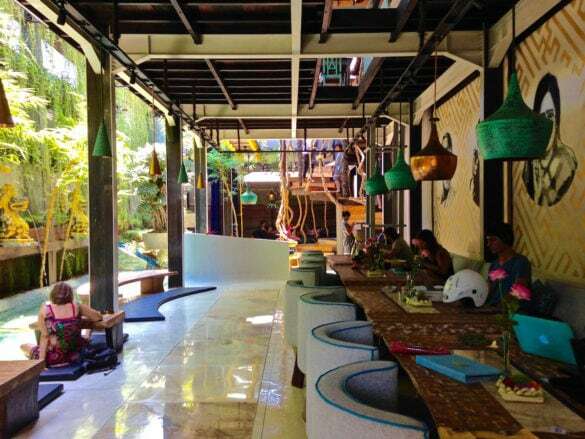 This hostel is right in the centre of Ubud and offers pretty standard hostel amenities – dorms, bathrooms and communal areas. 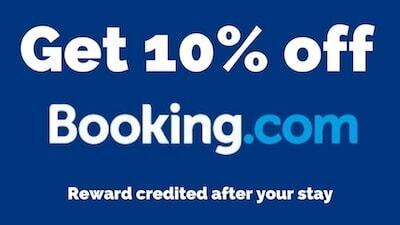 It’s a great place to meet other solo travellers and even has a pool – amazing value for the price. Biyukukung Suite and Spa, Ubud – Ten minutes from Ubud’s Monkey Forest, this collection of bamboo overlooks the Balinese rice fields. For the price, this is a pretty luxurious option, with a pool and a few restaurants on site. Alamdini Resort Ubud – The suites at this beautiful new Ubud resort get great reviews. They look lovely and luxurious, with balconies overlooking the jungle. 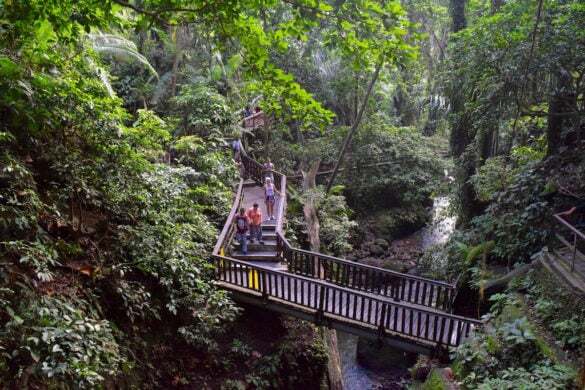 There’s a large outdoor pool overlooking lush tropical greenery, and it’s just a short walk to the centre of Ubud for shopping and restaurant options. 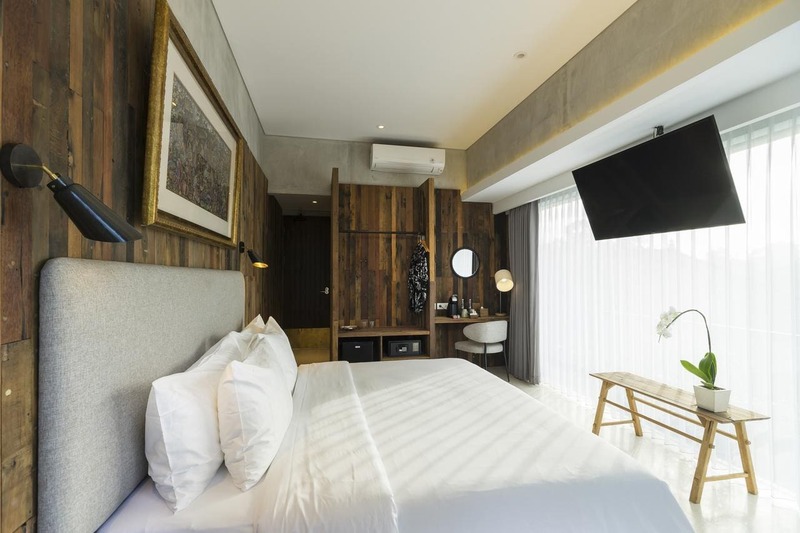 Artotel Haniman Ubud – Just a short walk from the Monkey Forest, this modern hotel is clean and new, with a restaurant and swimming pool. Compared to a lot of Ubud’s hotels this is different, with its quirky arty theme and colourful works on the walls. I love the look of their spacious studios with balconies – looks like the perfect option for couples looking for somewhere to stay in Ubud. Bali is a popular honeymoon destination, and when you see some of these luxury Ubud hotels you’ll understand why! Adiwana Resort Jembawan – This is one of the best resorts in Ubud, especially if you want to be close to the town centre. Luxurious and smart, there’s a wonderful pool, spa options and yoga on site. It’s also moments from Ubud Palace, so perfect for walking into town for meals and shopping, or to check out attractions like the Monkey Forest. Four Seasons Resort Bali at Sayan – One of Ubud’s most luxurious hotels, the Four Seasons Resort Bali is a ten-minute drive from the centre of town. It’s located in the most stunning area of jungle, and has world-class facilities including beautiful infinity pools, spacious villas, a top spa and great restaurant options. 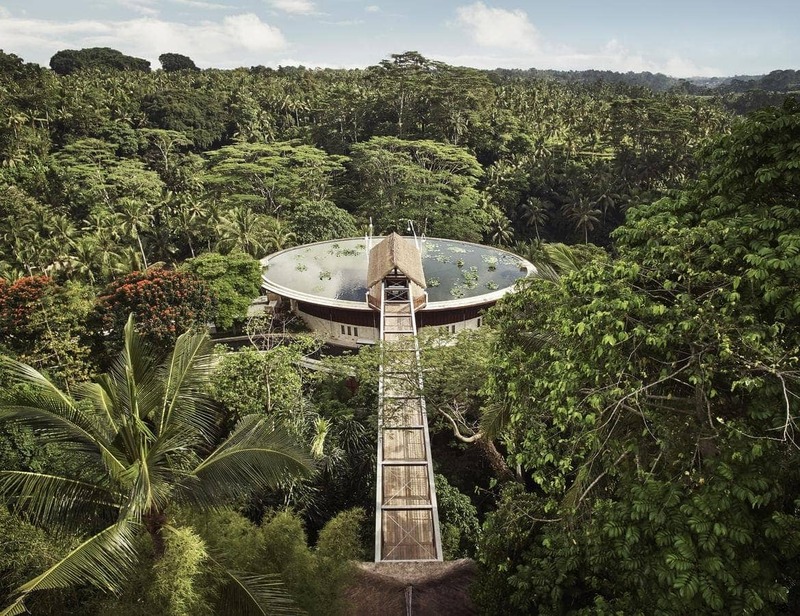 This is my top honeymoon resort recommendation too, as I’d say it’s one of the most unique places to stay in Ubud. Just look at it! 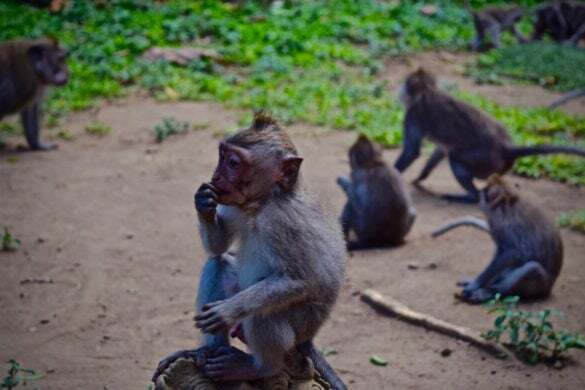 KajaNe Mua Ubud Villas And Hotel – Another amazing town centre option, this 5-star villa resort is on Monkey Forest Road, moments from Ubud Palace. The rooms are super smart, service is next level plus there’s a great pool, spa and gardens. Hanging Gardens Of Bali – One of the best resorts in Ubud, this five-star hotel really is stunning! 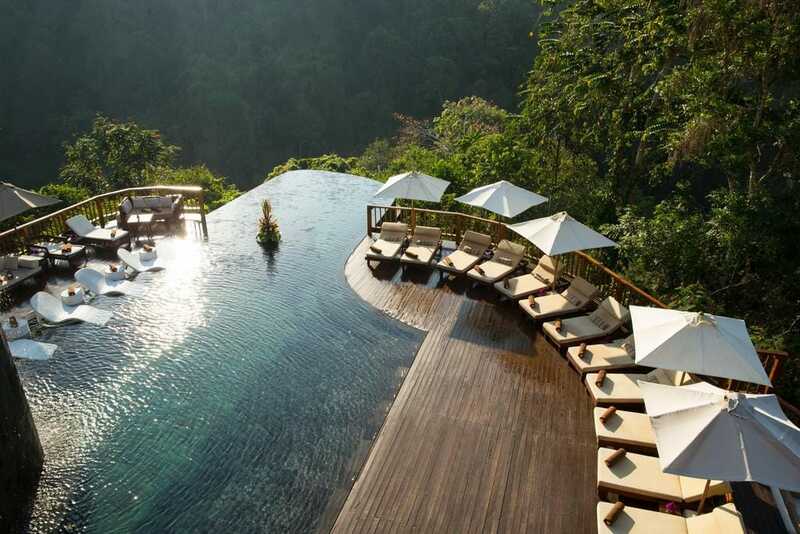 That infinity pool!! Accommodation here is in villas which have large terraces or balconies with views of the jungle. There’s also a spa, restaurant and bar. This is another super special place to stay in Ubud, especially if you’re on honeymoon. Komaneka at Bisma Ubud – This beautiful hillside Ubud hotel offers clear views of Campuhan River, coconut plantations and rice fields. 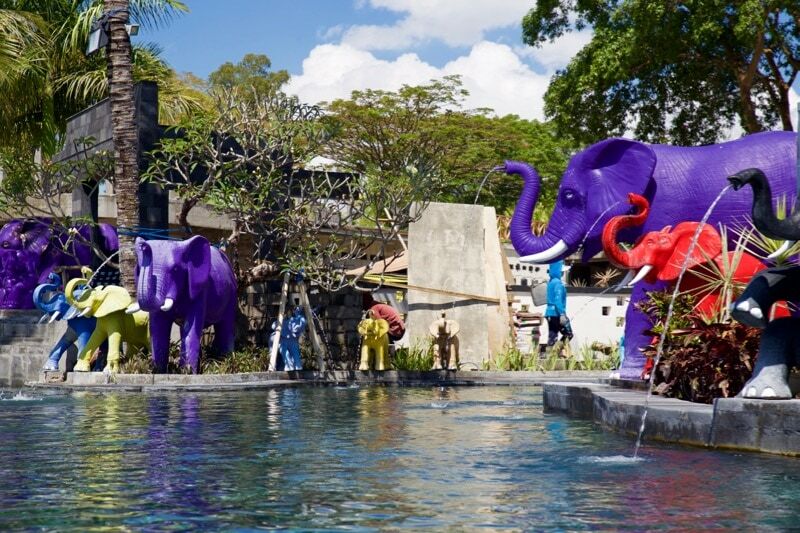 Along with smart, spacious rooms, the resort has two outdoor pools, a restaurant, and a spa. The suites look particularly nice! 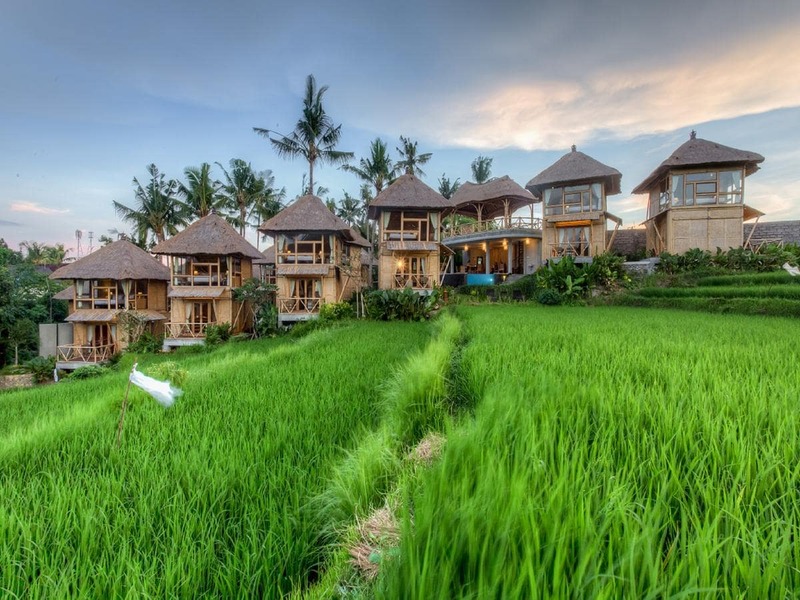 Viceroy Bali – Another five-star Ubud hotel, Viceroy Bali is located up in the highlands of Ubud. Stay in a luxurious villas with your own private pool or take a dip in the hotel’s main infinity pool overlooking the lush jungle. 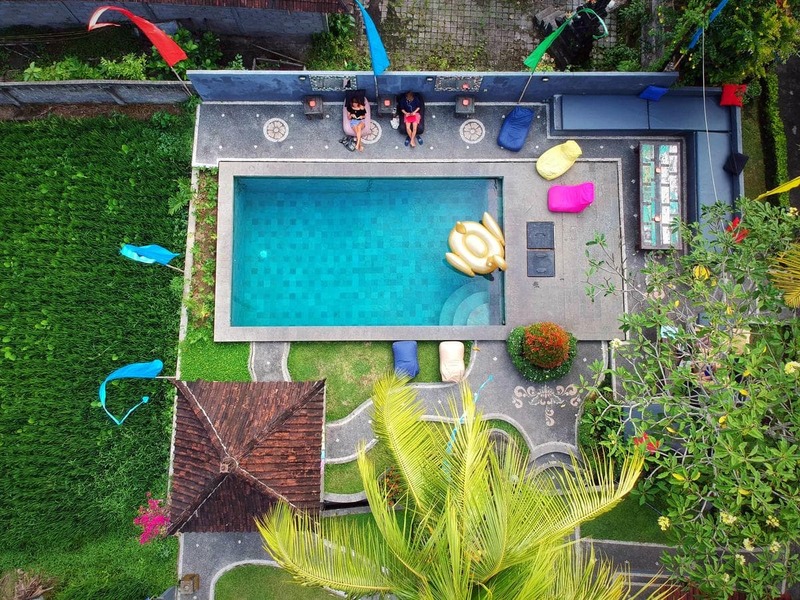 Hotel experiences like this come at a premium, but if you’re looking for one of the best places to stay in Ubud, then this might just be it! Ubud is overrun with spas! I read it was one of the massage capitals of the world when you look at the ratio of masseurs to visitors. It’s a town where it’s easy to walk into a spa and be lying down for a massage in a matter of minutes. One thing I’d say is that quality REALLY varies. I was hoping to include a few links to my top spa experiences in Ubud (after all I had two massages and a pedicure in just a few days!) but I don’t know whether I’d truly recommend the experiences, and I always like to be totally honest. Prices start around 55,000 IDR for an hour’s massage (£3.20) and go up to prices in the million rupiahs (£70+). Obviously the more expensive massages are in more luxurious settings, but a lot of it is about the masseur you get. 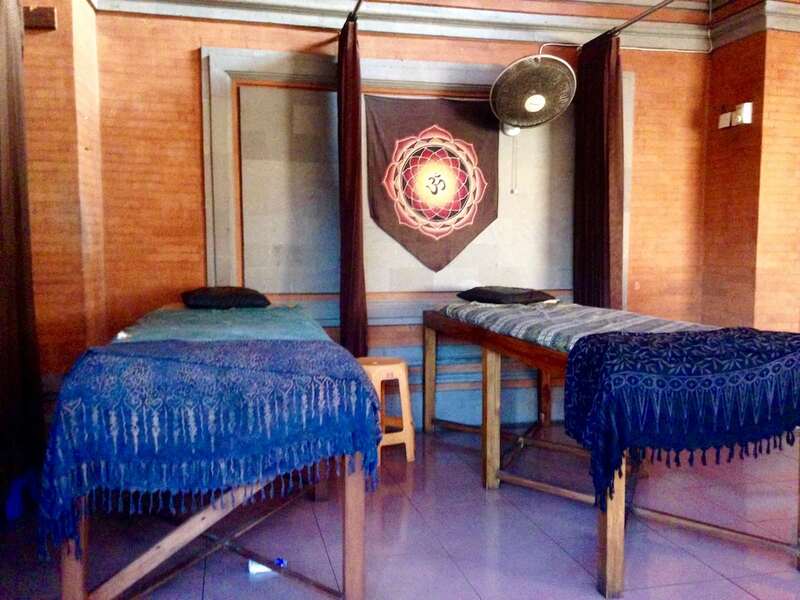 I visited Pratama Spa in Ubud for a full body massage and a pedicure. It cost 125,000 IDR in total (around £7.50) so it was incredibly cheap. The massage was good and the pedicure pretty average. The overall experience wasn’t that relaxing, so if that’s why you’re visiting, I’d pay a little more for a more pleasant setting. 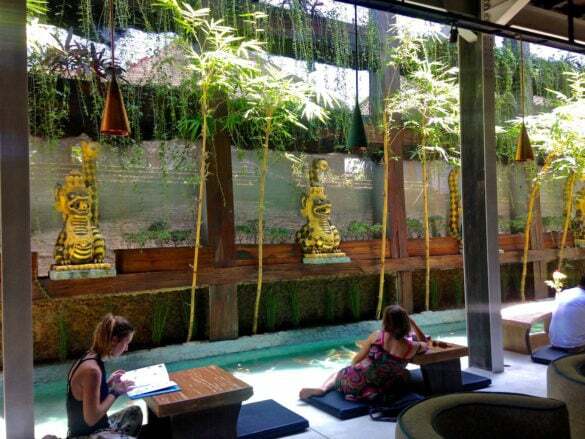 I also visited Glory Spa in Ubud, which was very close to where we were staying. My partner and I enjoyed a couple’s massage for 80,000 IDR each (approx £4.70). While it was nice to be in the same room as him, my masseuse had extremely long, sharp fingernails, and it really wasn’t very comfortable. My partner however, loved his massage, and claimed it was one of the best he’d ever had… so it really does depend who you get! I hope you have better luck than me! Scooters are really popular in Indonesia, and you can rent one for a day for around 30,000-50,000 IDR (just a few £/$s!) Lots of tourists ride them and no one travels all that fast. Saying that, there are accidents frequently and police crack down on tourists who aren’t obeying the rules. Several people got stopped in Ubud for a very unclear right hand turn that wasn’t permitted. Quality varies too, and one of the ones we rented struggled to get up hills. 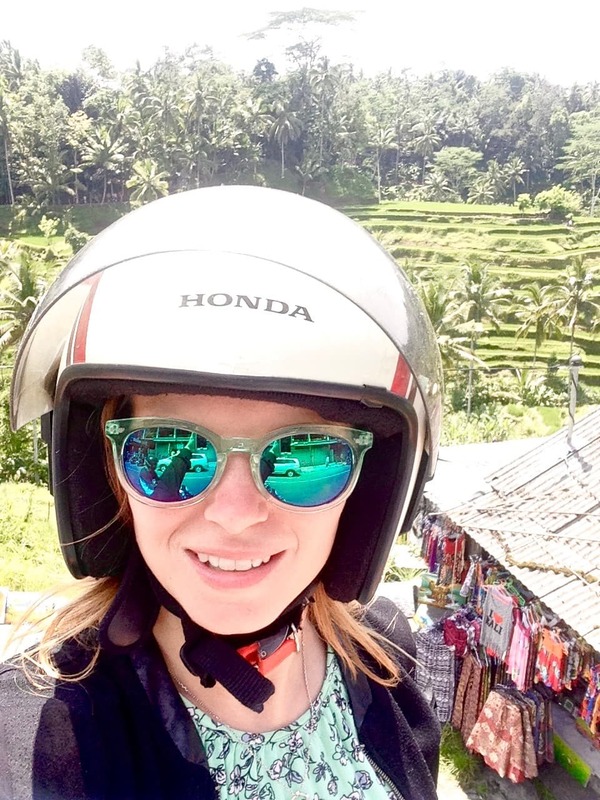 Ubud and the surroundings is quite hilly, so take that into account if you’re a new driver. 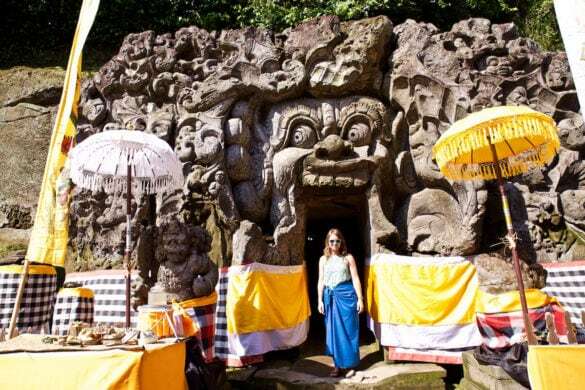 Taxi service Uber works in Ubud and generally works out significantly cheaper than local taxis. Locals haven’t embraced the service, and as a result they’re not permitted in some areas. You may have to choose a pick up location away from major hotels or shops. We had a few problems when travelling by Uber in Bali. Despite always opting to pay by account, one driver suggested we pay in cash in the vehicle (no doubt we would have been charged twice). Travelling to Uluwatu, we were dropped at our destination only to discover the driver hadn’t ended the journey so was charging us for his return journey. Be aware and ready to check whether you’ve been charged correctly! If you’re happier travelling by car, you could look at hiring a vehicle for your trip. After checking a few sites, I found some really good offers on Holiday Autos. I have a mobile (cell phone) contract with Three, which is absolutely amazing for travel. Their Feel At Home plan works in 42 countries, allowing you to use your phone tariff as normal when you’re away. 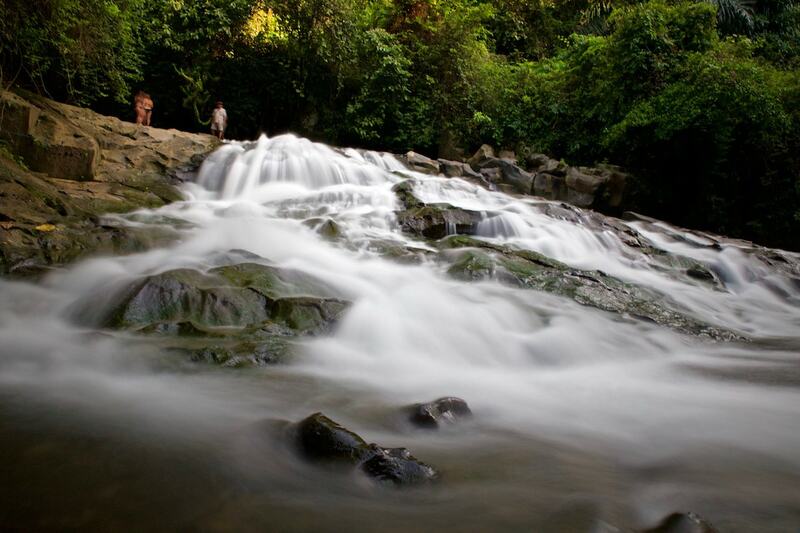 Thankfully, Indonesia is on the list, so Three is perfect for anyone spending time in Bali. 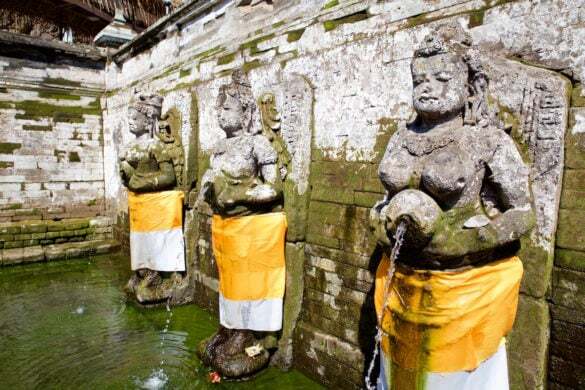 I hope some of this info helps you travel around Ubud in Bali. Let me know if you have any questions! Enjoyed this post? Pin it…. It’s gorgeous isn’t it!! I loved it there – such happy memories! Love all the activities you’ve mentioned here. Many happy memories of climbing Mount Batur for the sunrise, and of the Monkey Forest. When I arrived in Ubud I was mostly taken aback by the amazing cafes and restaurants though! After two months travelling through South East Asia in remote places my eyes opened wide at the sight and smell and taste of feta cheese and chilled white wine. The restaurants you mention above sound fab and I need a visit again soon! Wow yes I know what you mean! The restaurants in Ubud were fab and multicultural too. Ahhh such happy memories for me too! 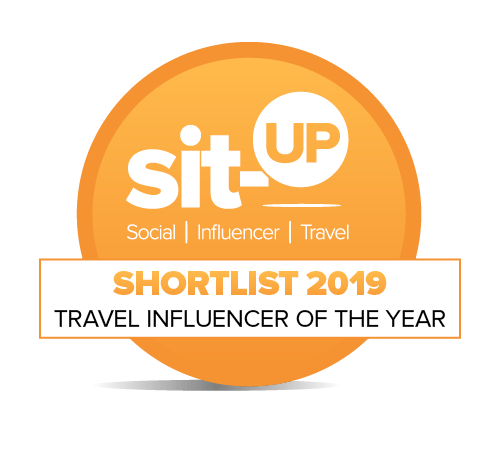 I haven’t been to Ubud before so I’ve essentially got majority of this on my list to see/do – now the question is HOW to fit it all in! I know Sarah – sometimes it’s so hard to choose when you only have limited time! 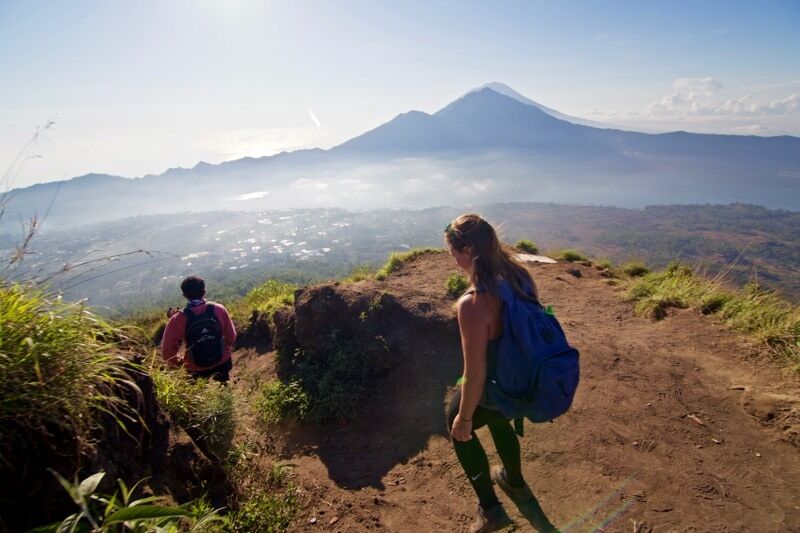 I’d definitely say the rice terraces and Mount Batur! 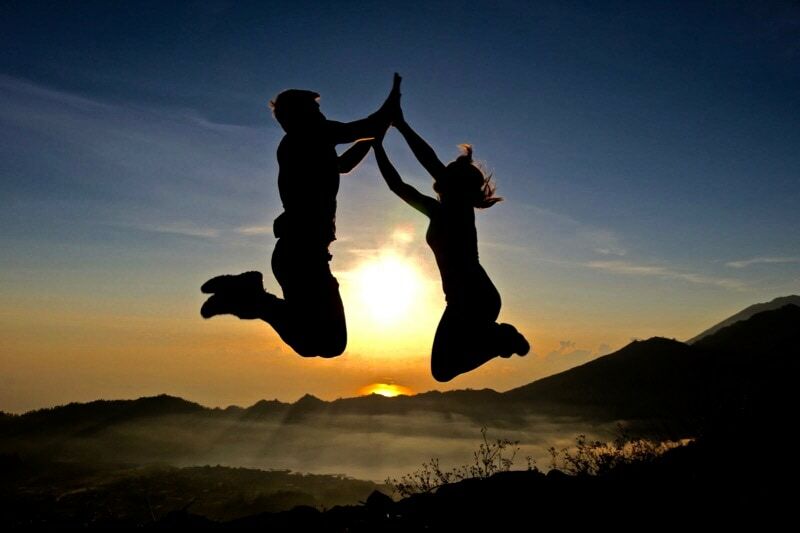 Love it there – have a great time!